Usually when I make a side dish for tacos or fajitas, I whip up a version of my Spanish Rice. It’s a straight forward method with tomato sauce, chiles and a few other aromatic and spices. 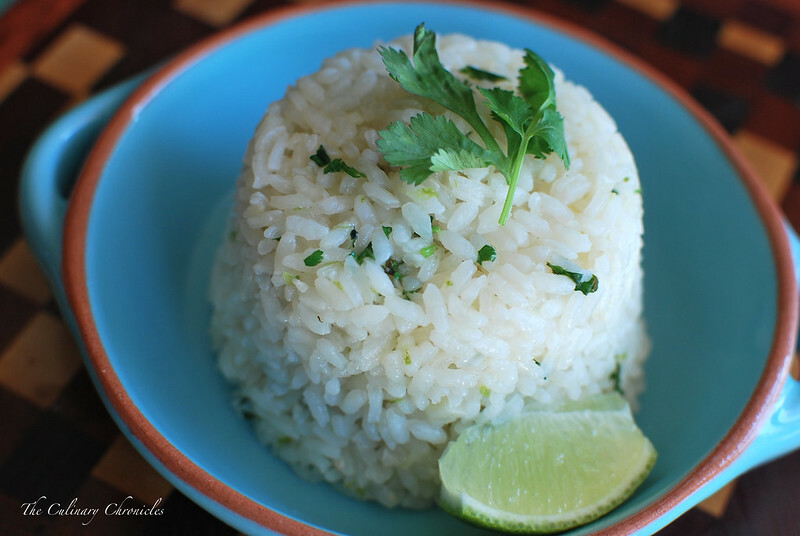 But when I want a bit of a lighter flavor, I make a pot of Zesty Cilantro-Lime Rice. It also starts off with onions, garlic, and chicken stock for a rich flavor. But then it’s all finished off with bright citrus-y notes with lots of lime juice, zest of fresh cilantro. Oh, and there may be a tab of butter or so for added richness. 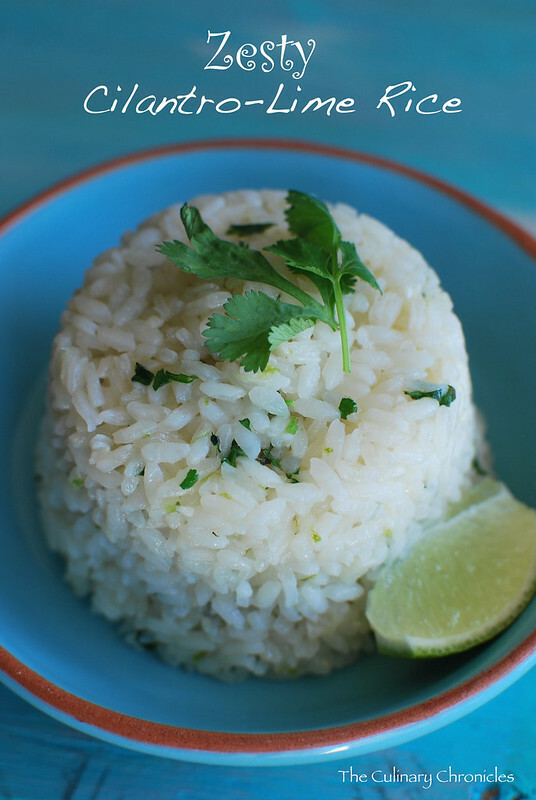 If you’re a bit shy about making rice on the stove top and prefer a rice cooker, just follow the initial steps below. 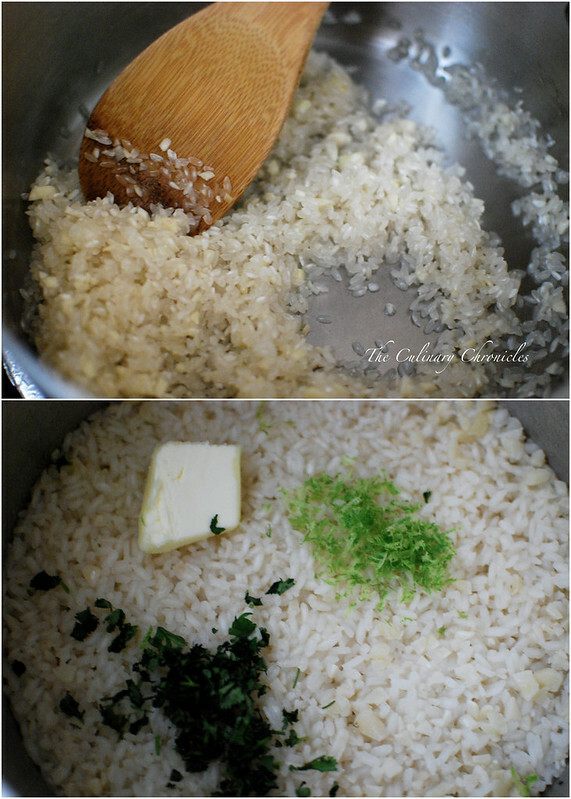 Before adding in the stock, put the rice, cooked onions/garlic into the pot of your rice cooker. Pour in the stock, salt and then follow your machine’s directions. Once done, just follow the rest of the directions to finish it off. In a small pot that has a lid, heat the olive oil and one tablespoon of butter over medium heat. Once melted add the white onions and cook for 2-3 minutes until softened. Add the garlic, pepper flakes and cook for an additional minute. Stir in the rice and cook for one more minute. Add the chicken stock, kosher salt and bring to a boil. Cover the pot and reduce the heat to low. Simmer until all the liquids have evaporated and the rice is tender—about 18-20 minutes. Once done, remove the pot from the stove and let sit, covered for 5 minutes. Remove the lid and add the remaining butter, cilantro, lime juice and zest. Use a fork to fluff the rice grains.